I have been doing home childcare for two decades and try as I might, I can never find a daycare parent who will be my boss. I want a whole house full of boss parents, but I cannot find a single one. Now, I am not hard pressed to find a house full of parents who want to boss me around. That is easy enough. That is the fun part of being the boss. What I cannot find are boss parents who want the financial responsibility of being my boss. How I long for a boss who pays me minimum wage for every hour I work and time-and-a-half for every hour over eight. I want the half-hour break where I get to leave the house every eight hours. I dream of them paying the employer portion of my social security and Medicare taxes and the most beloved FUTA Federal Unemployment Tax. Federal Holidays, come to Mama! Columbus Day and Washington’s Birthday, I heart you. I will take them off paid or be paid time-and-a-half – whichever works best for my boss. No more quarterly taxes for me because the boss-parent gets to withhold and deliver my federal, state and social security portion. The boss parent would be on the fry for a portion of my health insurance too. If I could get three or four bosses to pay twenty percent each, I could cough up the rest, no sweat. My insurance is over a grand a month so each boss would only have to dish out a couple of hundred dollars more a month. That is a small price to pay to keep me healthy. I would only have to keep three kids and you can be sure they would all be singletons. Minimum wage from three sets of boss parents would be enough for me to live quite comfortably. I could take a fourth kid if I wanted to hire a minimum wage staff assistant. She could handle the awesome foursome by herself and I would not have to work at all. All of these employee benefits would make it worth it to be bossed around in my own home. The benefit I want so badly… the one I dream of night and day… is the unemployment. I think I should have t-shirts made that say, “Boss Me” on the front and “Woota to da FUTA” on the back. I want a paycheck for eighteen months after every single kid leaves my house. I would be thrilled with sixty percent of the income. I would do a happy dance when I received a termination notice. I would not be in a big fat hurry to fill a slot if I knew I could get that much money and not have a single expense for caring for the kids. If I could get all three parents to fire me at the same time I could live quite comfortably! Daycare parents becoming the employer of the home providers would categorically change home childcare. It will never happen, but it is incredibly fun thinking about it. It is frustrating to deal with a parent who thinks they are your boss but is not willing to do the not-so-fun parts of being an employer. Home childcare is a unique business in that each client represents a substantial part of the total income of the business. The smaller the capacity of the childcare, the higher the income per child. If a provider has six kids full time, each child represents approximately 17 percent of the provider’s livelihood. On the parents end, the daycare bill is often second only to their housing bill as their biggest monthly expense. If they have multiple children it can be the largest bill. Because the parents pay such a huge part of their income for daycare, they often feel they have the right to run the daycare show. When you couple the math with the fact that the service provided is the care of a child, the expectation that the provider do as they are told escalates even higher. Parents innately believe they have the say about everything related to their children. When they have someone caring for their child AND are paying a large portion of their salary for it, they automatically assume they can and should control the daycare provider and business. Parents do not go into a childcare center with the same mindset. If the center has two hundred kids the parent is a mere half percent of the total income of the business. They could be paying more for the center care, resulting in an even larger chunk of their family income, but they do not view themselves as the boss of that business. They may feel that as the parent they can influence the decisions about the individual care of the child, but they know they must do that in accordance to the policies of the business and the approval of the owners and directors. When the center child leaves, it is a mere blip on the financial radar of a center. The center’s staff is not affected financially. They get paid whether that child is in the slot or not. A home daycare provider losing the income of one kid of five or eight is going to suffer. It is within that cycle the parent believes they have the power to determine the work and allowances offered by the home provider. They are the boss because they control the care of their child, pay a large portion of their income and represent a large percentage of the provider’s income. The provider views this situation much differently. The weekly salary may be substantial for each child, but the hourly rate of care is not. It does not make sense that a person paying three dollars an hour for the hard, hard work of caring for kids gets to be the boss, too. Out of the money the provider earns there are large expenses that chip away at her net profit. After she pays for the cost of operating the business, she is left with a fraction of that three dollars an hour. Housing alone takes at least a third of every dollar. The daycare provider also has competing interests. What one boss wants may directly interfere with what the other bosses want. These competing forces go to war in the areas of health, safety, one-to-one care, outdoor care and education. One parent may want their child to be outside playing all day while another wants their baby inside being rocked during the nap. One parent may want a breakfast service at 9 a.m., an hour after the other children have finished eating. Most parents are very comfortable having their ill child being cared for by the provider. The other parents do not want that kid under the same roof as their child. And on and on it goes… There can only be one boss in a home childcare and that boss MUST be the owner of the business, not the customers. The provider must insist that every client accessing her services understand that they are customers, not employers. If she allows multiple bosses to dictate her business, she will fail and it will happen quickly. The average home provider lasts two years. Not enforcing a clear and respected position as a self-employed business owner is the most predominant reason a home childcare goes out of business. Managing the parent who wants to be the boss is a difficult aspect of the business. I cut some slack to this parent when I first meet them. I understand the genesis of their belief that they have the right to dictate everything about their child’s care by virtue of being the parent. That concept is woven into the fabric of parenting from conception on by baby book authors and society as a whole. It is a mindset that goes out the window once the child goes into public school, but this mindset does not change until after the provider-parent relationship ends. School is also free so the average parent is thrilled to not have to pay for their kid to be taken care of while they are at work. When money is removed from the equation, concessions are easier to tolerate. I empathize with the percentage of income the parent must relinquish for my service. I paid for summer care for my son when he was in elementary school and it was my second largest bill. Hated it. I face the inevitable conversation in our first meeting. I use the words “self-employed” numerous times when I go through the policies of the childcare. I refer to the work I do as a service. Then I use the concept of “offering service” as a way to either agree to care for their child a certain way or to take a pass on the opportunity to care for their child. I use the phrases “I do not provide that service” or “I will provide that service for an additional fee” to say no to the wishes they have that are not standard in the care I offer. If a parent requests their child to be up during a nap, I say, “I do not provide that service.” If a parent wants me to hold their baby while she sleeps I say, “I do not provide that service”. If a parent wants a schedule change I say, “I provide that service for an additional fee of $X”. I do not spend time judging whether the request is reasonable or in the best interest of the child. That is the parent’s job, not mine. My role is to agree to provide it or decline the offer to provide it. It sounds wordy, but there is not a nice way to tell parents that you do not want kids being wicked to their mother on your land. My words do not indicate whether or not the parent SHOULD allow it, they are to clarify with the parents that it just cannot be done HERE. I do not have an opinion; I just confirm whether or not I provide the service. A parent may want to hang out before or after their scheduled daycare day. They often believe they have the right to be in the home any time there are kids in the house. I have to tell them I do not allow parents in the playroom, parents parenting their child on my property or parent conferencing beyond the paid daycare day. I understand a parent wanting these services, but I do not provide them. If they need that in their daycare relationship, my services will not meet their needs. This approach works beautifully in defining a provider as a self-employed, service provider. It allows issues to be brought up and addressed without judging the parental want. I do not try to tell them what to do. I just tell them what I will do for the fee they are contracted to pay. One last note about parent’s natural inclination that the provider is their employee… The parent is paying a good portion of their income for this service, but they cannot really envision it or qualify it like they do their other bills such as rent, car payments or food. Childcare is intangible and does not net them anything other than they do not have the child with them for ten hours a day. They often believe the job is easy for the provider and the expense to the provider to have the child in her home is very small or nonexistent. Their child is small, does not eat much, does not take up a lot of room or need much. They believe the provider already has to pay for her house, car, equipment, etc., so their child is not a burden worth such a huge amount of money monthly. This same parent brings their child to childcare every single day they are off work because the child is too difficult to manage while running errands and relaxing around the house. They convince themselves that for them caring for the child is hard, but for the provider it is easy. This mindset leads them to feel cheated every week. They want something for their money other than the easy care of their child. They want something more for themselves out of the deal. This parent wants additional time with the provider and if they can work it out, time with the provider before and after daycare hours. This desire to get more for their money usually manifests itself by them wanting time and attention. They hang out at the provider’s house, call during off-hours and text the provider during her time off. Having that kind of access makes them feel like they are not only the boss, but the recipient of getting their money’s worth. The provider does not set fees with excessive parent conferencing included. She calculates in a few minutes a day at drop-off and pick-up and an occasional meeting to discuss the child. She never considers having the parents hanging out long after the kid is off the clock. She does not charge for texting and weekend communication. 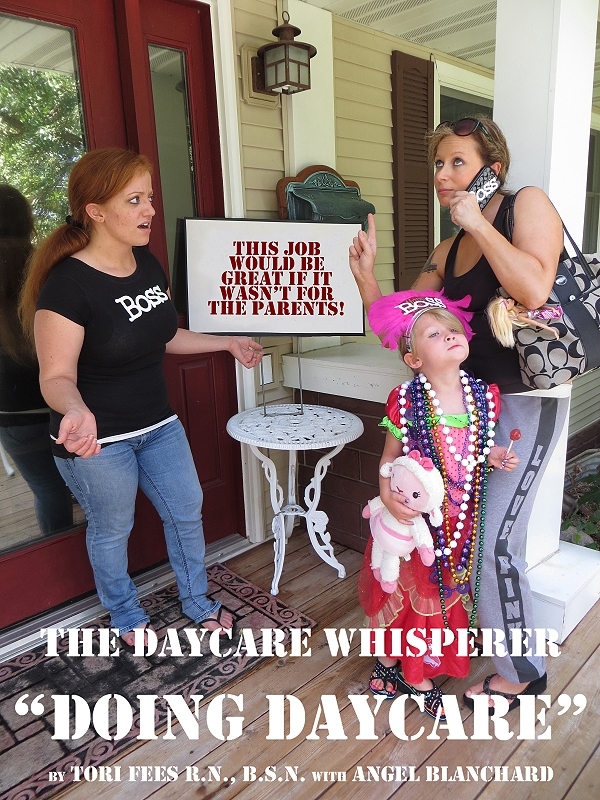 When the parent requires communication outside of the daycare hours, they feel they are getting what they are owed and the provider feels like she is working overtime for nothing. The provider’s resentment for being forced to tolerate or address this behavior with parents causes conflict that can fester over time. The best thing I have found to put a stop to being roped into additional services is to define and address them as services. You have to be bold enough to say, “Dad, I see you would like to hang out after hours, but I do not provide that service. I am charging you for the hours of seven to four and I do not allow parents in the playroom.” Being that specific and attaching money to the conversation shows the parent that you are the boss and you decide what you do and do not want to offer. If a parent boldly states they are your boss and they expect you to do as they say, you can offer to agree to that arrangement as long as they are willing to take on the financial aspects of being an employer. Once they realize they have to take on the part of the boss relationship that costs them way more money and time, they will quickly reconsider. Being the boss is not all it is cracked up to be unless you get to be the boss for free. And, again, I do not provide that service. You know your business best and you know what’s best for your business. Have confidence in that. Be understanding that a new client may view the relationship differently. You have to teach them the “boss” ropes. Businesses do not allow customers to be the boss. Just because the services are about children it does not mean their parents get to assume the boss position because they have a child at stake. Other businesses that offer services and goods geared toward children do not allow it and neither should you. Tori Fees R.N., B.S.N. is a 1983 graduate of Grand View University’s Science of Nursing department. She began her childcare career while in nursing school as a live-in nanny to support herself while going to college. Upon graduation, she worked as a medical surgical nurse for two years. She returned to her previous career as a private nanny to prestigious families in New York City and Bloomfield Hills, Michigan until she returned to Iowa where she worked as a school nurse for three years. In 1993, she began a home childcare in Des Moines, Iowa serving families seven days a week, twenty-four hours a day for the first four years. For sixteen years, she worked both day and evening shift five days a week. She cared for children birth to five years for the majority of her career and celebrated her twentieth anniversary in home childcare in 2013. 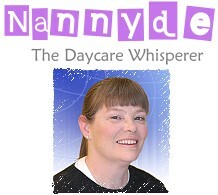 In 2011, she began a consulting business and obtained the trademark “Daycare Whisperer.” She was selected to write a blog for Daycare.com as “Nannyde the Daycare Whisperer” in 2011. Her private consulting business serves home childcare providers, center owners and parents. She serves as an expert witness for child injury and death cases. She was contracted as a health consultant for two centers including supervision of their onsite cameras and staff development in 2011-2012. Miss Fees’ expertise in childcare is wrought from her nursing background, thirty years of researching childcare, child health and safety, child death and injury and parenting. She is an avid participant in numerous internet forums and has reviewed each state’s home childcare rules and regulations. She offers expert advice on daycare.com and other internet forums and offers assistance to law enforcement and in child protective cases. Tori is a mother to one blue-eyed son and two darling teddy bear puppies. She currently resides in northern Iowa where she operates her consultant business, is the author of numerous blogs and is currently publishing the Doing Daycare series of books for childcare providers, daycare centers and parents. I just read your fabulous article. You are so right and makes so much sense! I am brand new to starting up my own home daycare service. However, I have been working with children in the education system for a few years. I was wondering if you could please give me advice on the following: I don’t have my own place to live to physically have my own home daycare. I have been spending a tremendous amount of time researching for grants. I live with my mom who refuses to bbe open to having a daycare in her home. So I am stuck! Yet, I want to do this so badly and be my very own boss! 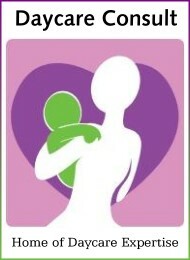 I have started my business plan, logo and registered for the Home Childcare orientation/ information session. I have courses already taken in child development and early care. I have worked in daycare centrers before also. How would you suggest I get started? Starting up a home daycare business is so very expensive. At least for me. I have no income presently to contribute in getting things settled. I just found your site and am pouring through everything you have written! I am a home care provider and you are answering so many of my frustrations! I can’t thank you enough!